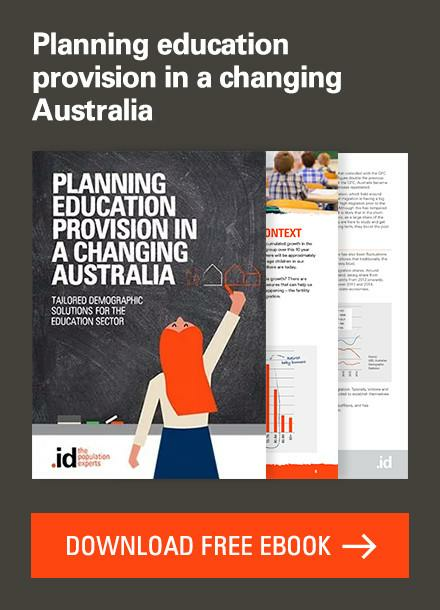 Most Local Government Areas show an increase in jobs simply because the ‘not stated’ employment locations have now been allocated to a place. Many of our users of economy.id are looking at how the number of jobs in their area are changing over time. A common goal in economic development is to generate local jobs, and the Census can be used to track whether more jobs are being created or lost in the area over time. This can be critical in understanding the changing economy of an area, and the impact of attracting a new employer. This is often the subject of grant applications which require time series information on employment. Unfortunately, a little known and little-publicized change in methodology between the 2011 and 2016 Censuses makes this difficult. 2011 and 2016 are no longer directly comparable using raw Census data. And this is where economy.id comes into its own. Jump ahead to the example of how Hume and Wollongong councils avoided over-reporting jobs growth. The Census records the place of work of employed people, coded at the Destination Zone level (eg. Employment nodes, suburbs), which aggregates up to higher levels like Local Government Areas. This is a great resource for understanding the distribution of jobs in your community, and is shown in some detail in the “Employment Locations” page in our economic profiles. It’s also used to derive the total number of jobs in your area, which is quite separate to the number of people who live there. Some Local Government Areas have far more jobs than employed residents (eg. CBD areas) while others (eg. 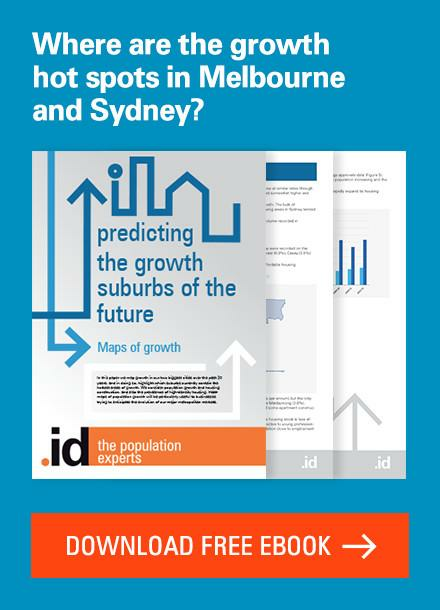 some outer suburbs) have more residents, and most people commute out. Economy.id also helps you understand those patterns of employment, in the Journey to Work section. If you are looking at maximizing the number of local jobs, it’s important to know who works locally and who’s leaving. To measure what should be a fairly straightforward figure of how many jobs are in a Local Government Area, we can tally up how many people were coded to a particular place of work. The Census is not perfect though, and there are always some people in the Census who don’t state their place of work or write a non-valid address. Up to the 2011 Census these were counted in a “Not Stated” or undefined category, which accounted in most areas for around 8-10% of the total employed residents. The ABS in 2011 experimented with a methodology of “imputing” a work location for these people, by looking at other characteristics, like people with similar occupations and qualifications and assessing the likelihood that those with a not stated location actually worked in the same place. 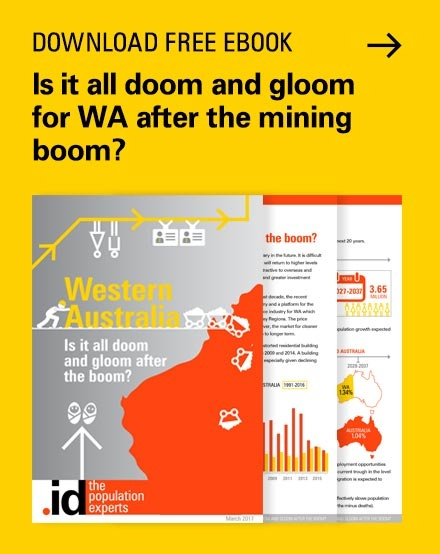 This introduces a small degree of uncertainty in the figures, but means that the numbers for all physical work destinations add up to the total for Australia. 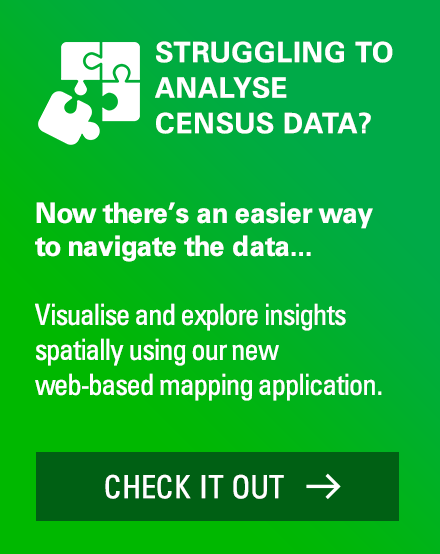 This was trialled in 2011, but mainly used internally within the ABS and never released as a standard dataset. In 2016, this imputation methodology became standard. So for the latest Census, there is no longer a “Not Stated” work location, and all work locations add up to the national total (actually not quite, as there is still a “No fixed place of work” category for people who genuinely move around to different work locations). This gives a more complete dataset, but it means that users have to be careful when comparing 2011 to 2016 data. When looking at the raw 2016 and 2011 data output for example (eg. sourced from ABS Tablebuilder), you may well draw the wrong conclusions. Most Local Government Areas show an increase in jobs simply because the not stated locations have now been allocated to a place. This is not usually a real increase – much of it is just due to the change in the way it’s coded. 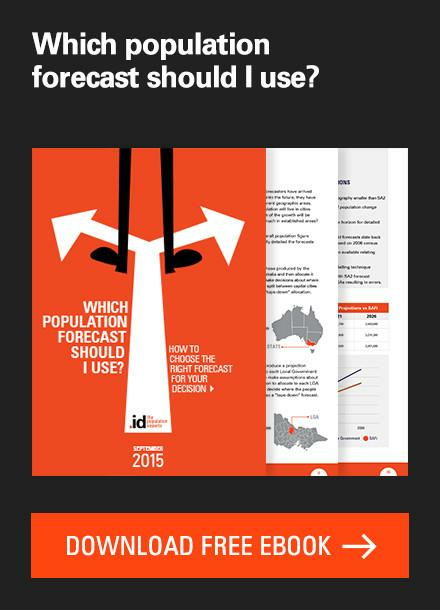 If economy.id is available in your area, the good news is we have sourced the equivalent 2011 dataset from the ABS. This is the one with not stated locations imputed using the same methodology as 2016, making it comparable. This is not widely available anywhere else. The City of Hume is a major work destination in the North-West of Melbourne, containing Melbourne Airport and significant logistics and manufacturing industries. They want to understand how their jobs market is changing over time and whether their economy is growing. The City of Hume had had substantial growth in jobs in 5 years by either measure. But anyone using the raw Census data to assess this would conclude there has been approximately double the jobs growth they’ve actually seen. This is almost a 100% error in the calculation of the change, and could lead very different conclusions and decisions being drawn about the state of the local economy. For another example, take the City of Wollongong, NSW. 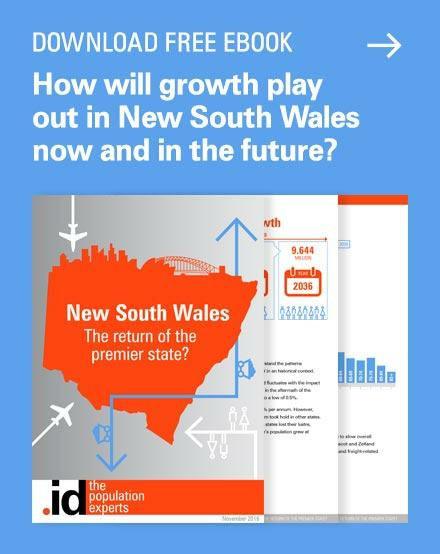 The third-largest city in NSW has struggled in the past with the downturn of its manufacturing and mining heartland focused on Port Kembla. 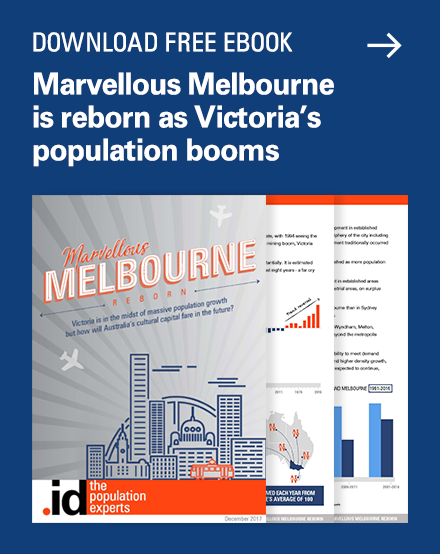 It has reinvented itself as a major service hub and epicentre for Education and Health Care, service sectors and innovation, as well as a residential apartment boom in the inner city. In this case, Wollongong’s job growth looked like about 9%, but reduces to a little over 1% when using the corrected dataset. While the unadjusted change may look like a better news story for the area, it’s not a real change, and it’s important for those making decisions for the community to be basing those decisions on the facts. And the fact is that Wollongong’s job growth is much lower than it appears when looking at the unadjusted Census data. The adjusted 2011 numbers are now used throughout the Census datasets in the full version of economy.id, so you can see actual changes in your workforce age structure, working hours, qualifications, industries, occupations and method of travel to work, independently of the change in methodology. It’s also the basis for the self-containment and self-sufficiency pages which show whether people are increasingly working locally or not. You may think that 2011 seems like a long time ago – that this is old data and not important now. And while it is certainly getting on a bit, as a base population to understand change, 2011 data is vitally important, and that’s why we have gone to the effort of sourcing the comparable dataset. The most important question to ask with any data is “How is this changing?”, and “Who do I need to plan for in the future?”. 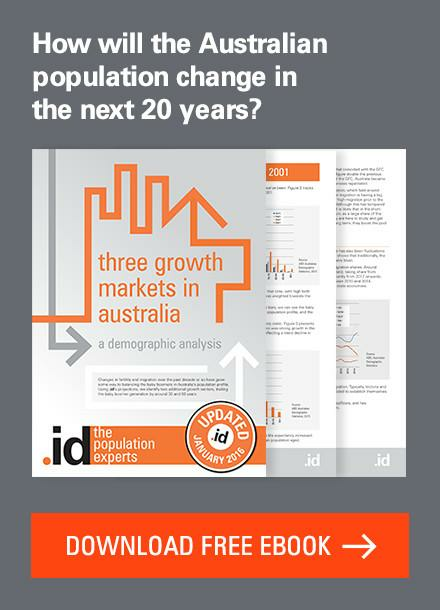 Time series comparability is at the heart of all .id’s online tools – and economy.id can help you answer these questions about your local workforce. And don’t forget as well as the Census data, economy.id shows year-on-year employment estimates via the dataset from the National Institute for Economic and Industry Research (NIEIR). These use Census and ABS labour force as a base, but are updated every year so you don’t have to wait until the next Census to get a handle on jobs change. Still unsure about jobs data? Next story Are you basing economic development decisions on false news?